On the morning of Tuesday 5th February, Manchester 765 left the Heaton Park Tramway to make its way by road to the North East. As announced previously, the tram is one of two – the other being Blackpool & Fleetwood ‘Box’ 40 - to be loaned to Beamish Museum in time for the Great North Steam Fair in April, and in the case of 765 it is due to remain there until the end of June. 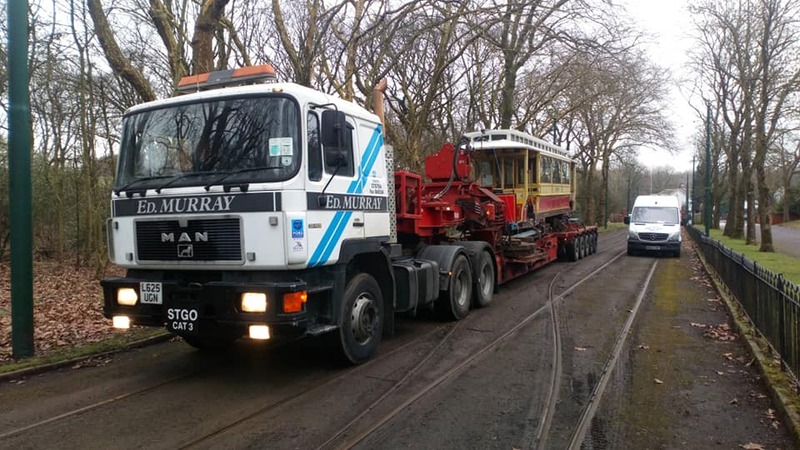 Volunteers from the Manchester tramway were on hand to assist with the process of loading 765 onto a lorry which was hired to transport it to Beamish. Prior to its departure the car had its destination boxes, route stencils and lifeguards removed for the journey by road, and has also had a good clean and polish. 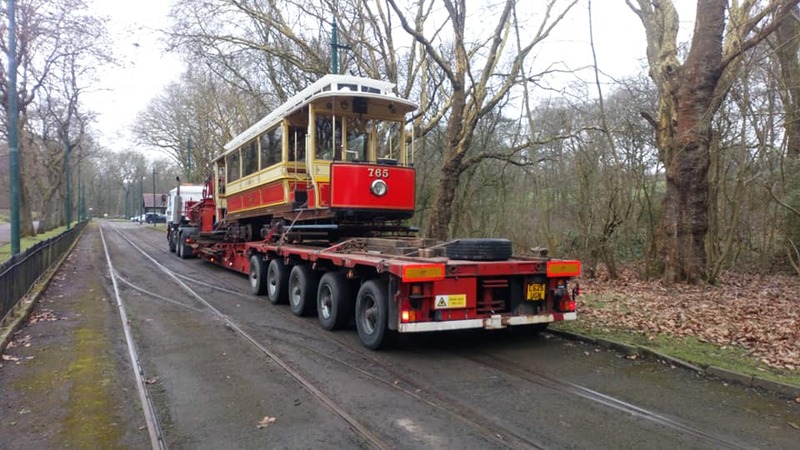 It is expected that some maintenance work will be undertaken on the car as part of the loan agreement but it should be up and running in time for the aforementioned event which is shaping up to be a potential year highlight for fans of vintage trams and those who enjoy seeing them in different environments.